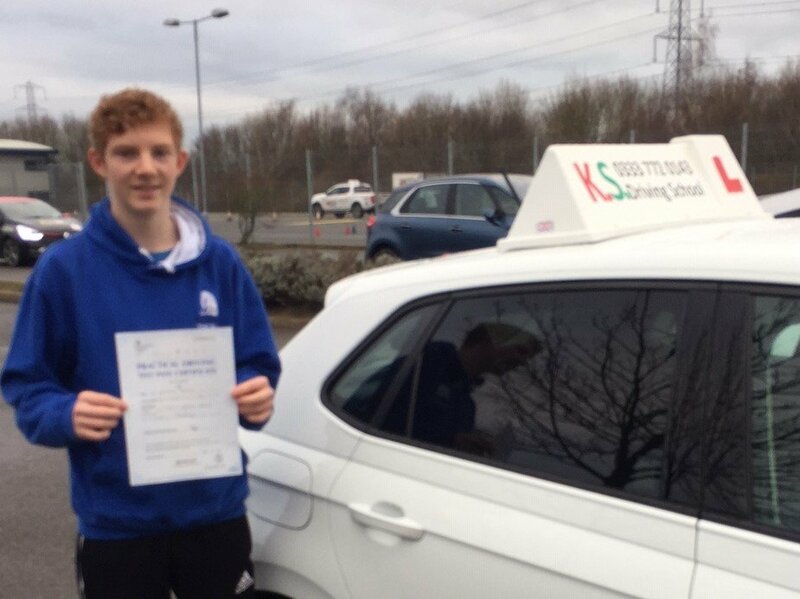 Congratulations to Alister Perkins who past his driving test 1st time on the 11th January with 8 minors. You have listened carefully to advise, asked insightful questions and developed into a confident driver. 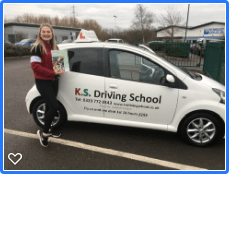 Despite a few nerves at the start of the test and heavy traffic near the train station, you proved you are worthy of a full driving license. It has been a pleasure to teach you to drive. Bob Mulford and all the staff and KS Driving School wish you happy and safe driving.